One of the biggest responsibilities as a parent is all of the things we must teach our children. From life skills to academics, we must help to foster good learning skills as well as a love of learning that will carry on for a lifetime. A child’s education starts way before they actually head off to school, which is why many parents look for educational toys for their children very early on. Discovery Toys is a direct sales company that has been providing parents and grandparents with fun, educational toys for more than 35 years. Their kid-powered learning products are designed for newborns through school aged children and they even offer useful applications for children and adults with developmental disabilities such as autism. With dozens of products for every age level and quality and customer support that you simply do not find anywhere else, it is no wonder millions of people have chosen Discovery Toys. 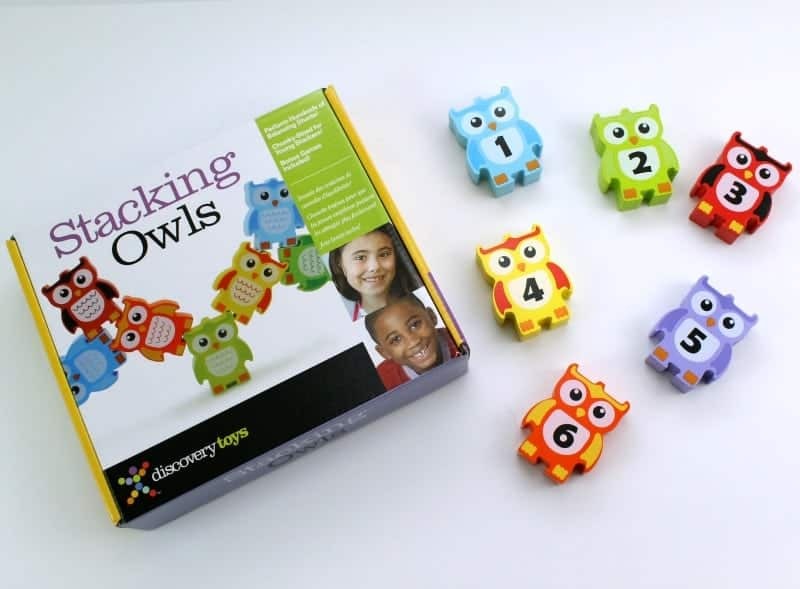 Independent Discovery Toys Consultant Virginia Phillips sent in a set of Stacking Owls for inclusion in this year’s Diva Holiday Gift Guide. These brightly colored adorable little owls are made of solid wood and are fun to stack and topple, balance, and more! Plus each of the 12 owls is painted with a number so you can begin to introduce simple number fun as well. These fun little guys will teach critical skills such as hand-eye coordination, following direction, creative thinking, visualization, experimentation, and about the concept of balance. You can shop for Discovery Toys products directly from Virginia’s website, or host a party to earn free and discounted products for your little ones. If you have a passion for children and learning, consider joining Virginia’s team and grow a business helping parents teach important skills through play and laughter! How fun is that?! Check out Virginia’s website to learn all about how you can get involved with Discovery Toys.